The Acting Director General of the Independent Concession Regulatory Commission (ICRC), Engr. 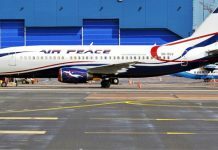 Chidi Izuwah has said that the lack of Maintenance, Repair and Overhaul (MRO) facilities in Nigeria, has had a negative impact on the survival of airlines in the country. He said that the lack of these facilities in the country has added more burden on the operations of airlines due to exorbitant cost of equipment for maintenance, that is not available locally, as well as the time it takes to fly the aircraft abroad for routine checks. 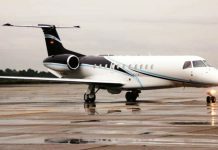 Izuwah, who disclosed this to aviation correspondents at the Port Harcourt International Airport, Omagwa noted that the MRO was the most important link in the aviation value chain, as the major consideration in the industry is safety. The DG wondered why none of such facility exist in the West African sub-region, Considering that aircraft landed in Nigeria for the first time about 98 years ago. On the Aviation Leasing Company (ALC), Engr. Izuwah said Nigeria is grossly underserved in the provision of aircraft, with only 48 functional aircraft operated by eight airlines, serving a population of over 180 million people with over 30 airports. He said this low number of aircrafts is not unconnected with the challenges of securing favourable leases. The DG also expressed sadness at the fact that the West African region does not have a single aviation leasing company inspite of the obvious market for aircraft leases, but relied solely on leasing companies in Europe, Asia and North America.